Our Grass Really is Greener! 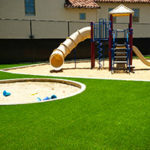 At PlaygroundSurfacing.com, our grass really is greener! We stock and install over 50 different types of artificial turf for nearly every application. Artificial turf is a great product for a variety of applications including playing fields, putting greens, yards and playgrounds. Selecting the right artificial turf system for your application is critical to ensure that it provides all of the features you need and is designed for the specific task. 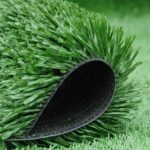 Our experts will guide you through every step of the process to make sure you are getting the best possible artificial turf system for your application and budget. 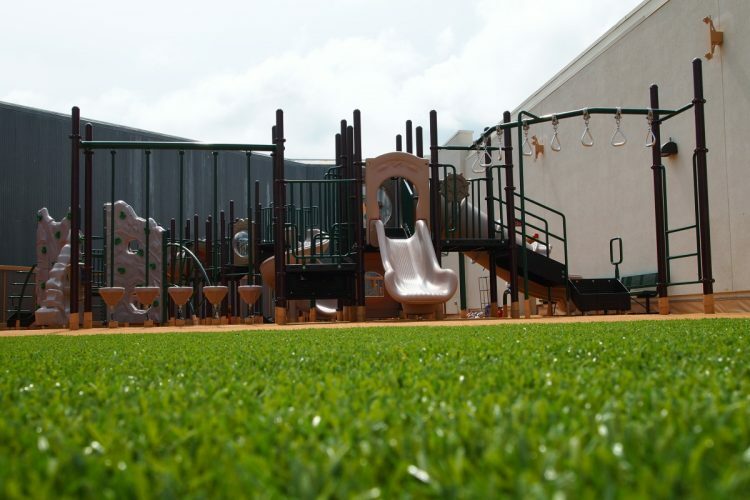 The key to a great artificial turf installation is a combination of experience and exceptional products, at Pro Playgrounds, we provide both to our clients. 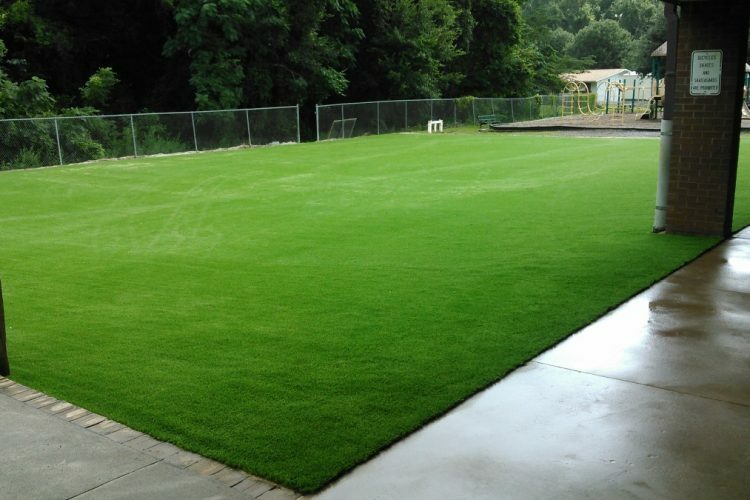 We utilize a variety of attachment methods that allow our artificial turf products and synthetic grasses to be installed over a variety of sub surfaces and with numerous attachment methods, making our artificial turf a truly unique and versatile product. All of our surfacing products are third party certified to meet CPSC, ASTM and IPEMA standards for quality. 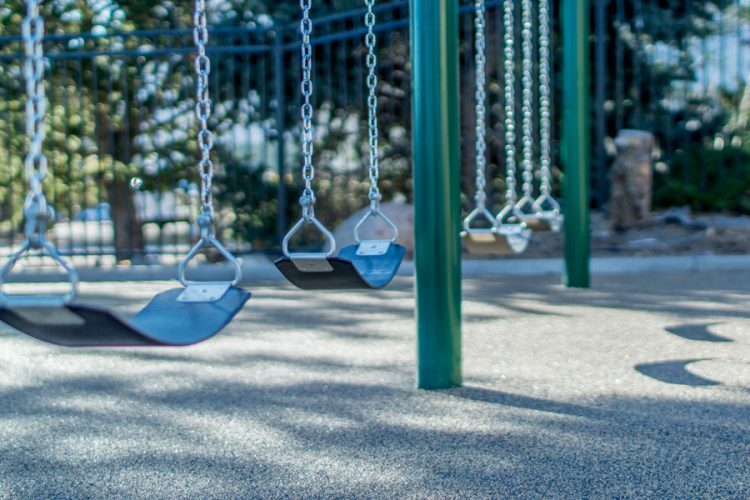 Our playground surfacing experts will design the perfect system for you, taking care of the details for you. All of our surfacing products are tested to make sure the meet or exceed ASTM, IPEMA and CPSC safety requirements. Guaranteed hassle free professional playground surfacing installation by our licensed and experienced surfacing installers. We stock and install over 50 different types of artificial turf for nearly every application. Artificial turf is a great surfacing product for a variety of areas including playing fields, putting greens, yards and playgrounds. Selecting the right artificial turf system for your application is critical to ensure that it provides all of the features you need and is designed for the specific task. Our experts will guide you through every step of the process to make sure you are getting the best possible artificial turf system for your application and budget. 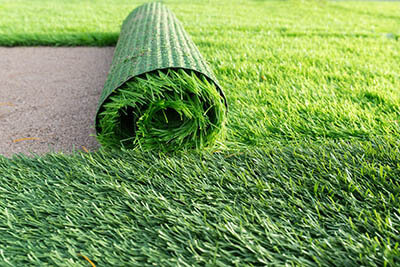 Artificial turf can be used on playgrounds, dog parks, fields, and almost anywhere a surface is needed. 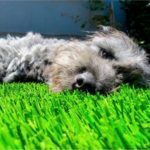 Our turf is eco-friendly and is safe for pets & people alike, improving drainage & reducing water consumption. Sell your mower, our artificial turf is virtually maintenance free and requires little care once installed. 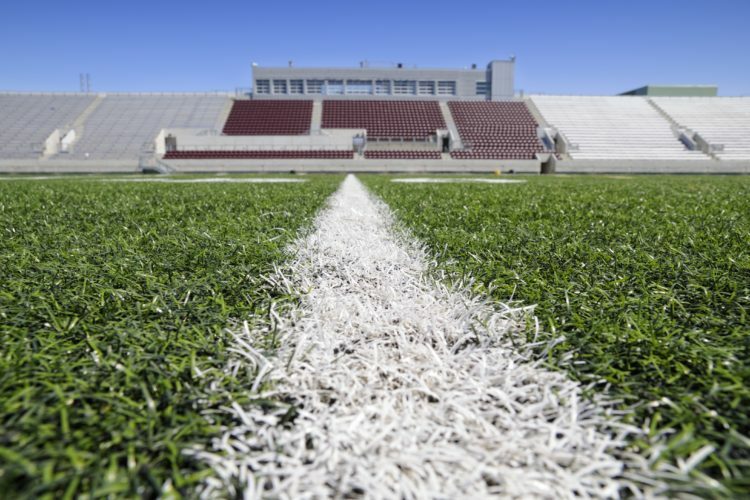 For decades artificial turf has been replacing natural turf in athletic fields across the world in everywhere from Olympic stadiums and professional league arenas to grade school sports fields. From its outset, artificial turf athletic fields have offered a number of benefits and advantages that natural turf fields can’t compete with. After installation, artificial turf is ready for use. Preparation for natural turf takes much longer and requires significant attention and care as the seasons change. As time passes, certain areas will wear down more than others, leaving the look of the field patchy and inconsistent. Every few weeks it must be mown and the grass trimmings collected. To keep away bugs that can damage the field, it is often necessary to use pesticides, which can spread into surrounding areas and leach into nearby water sources. Fertilizer can have similarly harmful effects on nearby areas in addition to consuming a considerable amount of time. The frequent watering can drive water expenditures through the roof. With every spring, you can also look forward to the replanting you will have to perform to thicken the turf again to meeting playing and aesthetic standards. None of these problems associated with growing and maintaining grass are present in an artificial turf field. How much does poured in place rubber playground surfacing cost, can you give me a ballpark price? There are a lot of factors that affect the price of a poured in place surfacing system. The price can vary drastically depending on what sub surface is used, how thick the system needs to be, colors and site preparation requirements just to name a few. The best thing to do would be to let us provide a quote for you so that we make sure you are getting accurate pricing. Does poured in place rubber get hot in the sunlight? Yes, poured in place rubber will get hot when exposed for long periods to heat and sunlight. It does not retain heat however in the way that other surfaces would, like for instance asphalt. How long does poured in place rubber surfacing last? There are a variety of factors that will affect how long a poured in place rubber surfacing system will last, the most important of these being the quality of the product, the experience of the installer, UV exposure and maintenance. The average life span for most surfaces is around 10 years.